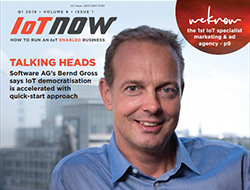 IoT is on track to eat the mobile world. How? There are a few analysts who seem to be excited about the Internet of Things’ (IoT) potential, while others have argued that it is overhyped. The advent of new technology has changed the way humans interact with machines and vice versa. 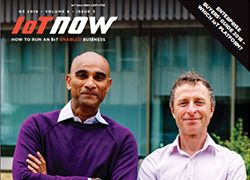 From desktop websites to mobile apps, says Charles Richards, business analyst at TatvaSoft UK, the world is undergoing a significant transformation – all thanks to IoT and Bots. Considering today’s market scenario where it is very important to stay ahead of the competition, mobile apps have become an essential tool. Businesses have started using mobile apps in such a way that they can easily interact with their customers, facilitate employee collaboration track orders, oversee the work process, manage supply chain, etc. Right from financial services to manufacturing department, healthcare, mobile apps have become a pure necessity. You are probably familiar with smart homes where a majority of systems are programmed to receive instructions from the end users and behave accordingly; systems like security, lighting, cooking devices, heating, and air conditioning. The Internet of Things, sometimes referred to as the ‘Network of Networks’ is considered one of the most powerful creations in the technology realm. By combining mobile app and IoT, we have become more capable of connecting almost everything on the planet. It is assumed that with the increase in ubiquitous connectivity and communication among the objects, a major transformation can be witnessed where these objects can gain a rare ability to collect, analyse and distribute the data. As a result, the insights gained can be turned into proactive actions. With the continuous evolution of IoT and mobile app development, a considerable market demand seems to be blooming around for development of apps. Further below I would like to mention how it’s upgrading the mobile app development process and why there is a need for it. 1. 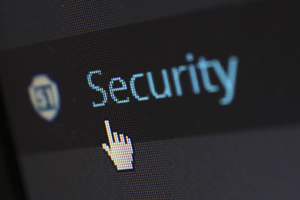 Increased need for security – Today, more and more users are found storing ample information into the cloud and extreme interconnectivity of devices especially the ones facilitated by IoT. This also leads to an increased possibility of information being hacked or sensitive data at risk. As a result, need for security has to be taken into consideration. IoT-enabled mobile apps have the potential to protect user data. Think of using enhanced and extreme data protection measures. 2. Specific design requirements – Gone are the days when using bulky desktop apps was a compulsion. Mobile apps are no longer cumbersome and occupy very little space on the phone’s memory. Now this is where IoT comes into play! This tech offers additional components, for example devices can be connected through Wi-Fi, NFC, the cellular network, or Bluetooth, and the design must facilitate multiple connectivity options. 3. Enterprise apps on the rise – The demand for mobile apps is skyrocketing as businesses are found to be gaining a great deal from IoT. By connecting all electronic devices and machines, companies cannot just achieve higher employee productivity but also reduce downtime by conducting regular maintenance of office equipment, repairs or replacement as soon as or even before the problem occurs. With the emergence of wearable technology, more and more opportunities are created for mobile app developers creating software to support these devices. 4. Changes in hardware – In today’s fast-paced world where not just businesses but even consumers are demanding connectivity in everyday life. With software the demand for hardware seems to have shot up, it can be considered as the need of the hour in the IoT revolution. To stay on top of the situation, companies are asked to come up with smartphones, the latest ones featuring requisite sensors. 5. Infrastructure changes – Data consumption and app usage are shooting up day in day out, which means there might be an urgent need for greater Wi-Fi or cellular capacity in order to accommodate this surge. With more apps being rolled out featuring high frequency, cloud performance will be of prime importance. To keep pace with all these developments, mobile carriers will have to up the ante and boost their infrastructure. 6. Customer behaviour and marketing – Big data seems to have taken off in a big way. With the introduction of IoT mobile apps, companies can gain insight into the real-time behaviour of their customers. This also gives an in-depth understanding of their customers in various segments. As a result, companies are allowed to make necessary changes in inventory and overhaul the marketing of their products and services. More and more companies tend to offer personalised and more meaningful experiences to customers, leading to lasting, richer relationships with them. 7. 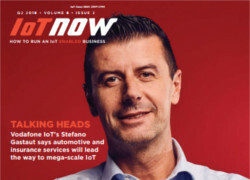 Need for adaptability – The need for mobile apps and IoT or connected devices are mounting like never before. Saying that apps that don’t support IoT may get rejected won’t be justified in the long term. But IoT as a whole is definitely making it almost mandatory for apps to be adaptable to connected smart devices. 8. Increased convenience – Everything seems to be simple not only for businesses but for end users as well – all thanks to IoT. Gone are the days when app developers had to put lots and lots of effort into building a single app. Today with more and more devices being interactive and automotive for every task, it becomes easy to survive in the mobile app development realm. The evolution or wide acceptance of these techs is not the only reason to merge IoT and mobile, there is something more to it! With a plethora of sensors, controllers and processors embedded inside the device, professionals can easily sense the data, transfer it to the IoT app, process the data in the app and then trigger the action to control the connected objects right through the mobile. Apart from this, it is a speedy, time-savvy and efficient process that enables quick execution of an action in the right time as IoT apps can receive data and trigger the actions in real-time. The answer is crystal clear – the mobilisation of IoT development is undoubtedly beneficial and easier. So that’s all for now. I hope this post provides some help. The author is Charles Richards, business analyst at TatvaSoft UK.